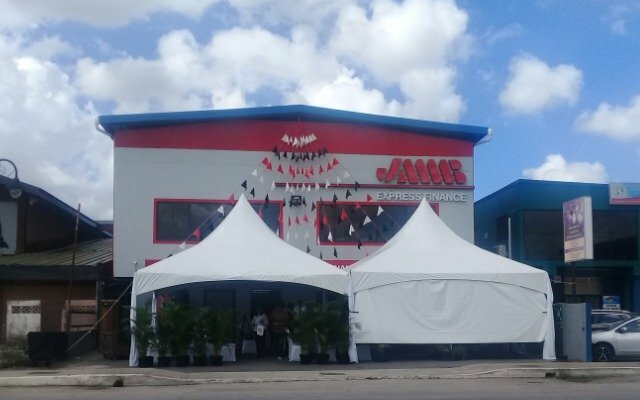 THE JMMB Group launched JMMB Express Finance Ltd which will provide unsecured loans starting from $2,500 to people, with interest rates ranging 20 to 30 per cent. Speaking yesterday at the launch at Ramsaran Street in Chaguanas, the chief executive officer (CEO) of JMMB Express Finance Elson James said financial inclusion for all is very important to the company. “We welcome everyone. For us, the interest rate is dependent solely on the client's credit score. A better credit score means a lower interest rate. As clients continue to pay, their rates fall,” James said. People can access loans up to $40,000 with a repayment period of three years. The company started in 1992 as the first money market broker in Jamaica. Apart from Jamaica and TT, it has operations in the Dominican Republic. 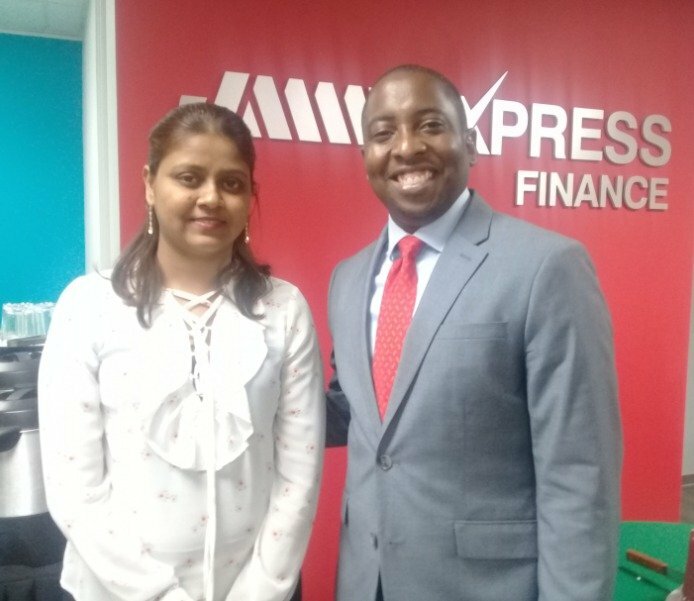 Elson James, CEO of JMMB Express Finance ( TT) Limited, and client Sunita Sooknanan at the launch. James said JMMB Express Finance is a third arm of the JMMB group, after JMMB Bank and JMMB Investments. The CEO said banking is faster and repayments more convenient with Express Finance. Clients can make loan payments via Sure Pay and JMMB Bank and JMMB Express Finance locations. He said many people are not comfortable going into the banks to get loans. Sometimes they feel intimidated or unsure if they would qualify for the amount of money they want to borrow. “We focus on speed. For example, to apply for a loan at JMMB Express Finance all you need is your ID card. All you have to do is either come in, go online or call us and we will take the full application over the phone. We will give you a qualification of your loan even before you bring any supporting documents,” James said. JMMB Group chairman Archibald Campbell encouraged people to join the JMMB family and benefit from its unique approach to financial partnership. JMMB has taken on the mandate, he said, of broadening the net financial inclusion in TT, with the roll-out of Express Finance. “Our vision will see all JMMB Express Finance clients receiving greater empowerment through our financial education and approach to client financial partnership,” Campbell said. "Financial inclusion means many things to the JMMB Group. It means household income growth. Increased access to financial services can improve lives and enable families to save and better manage cash flows. It also means building assets and creating jobs." 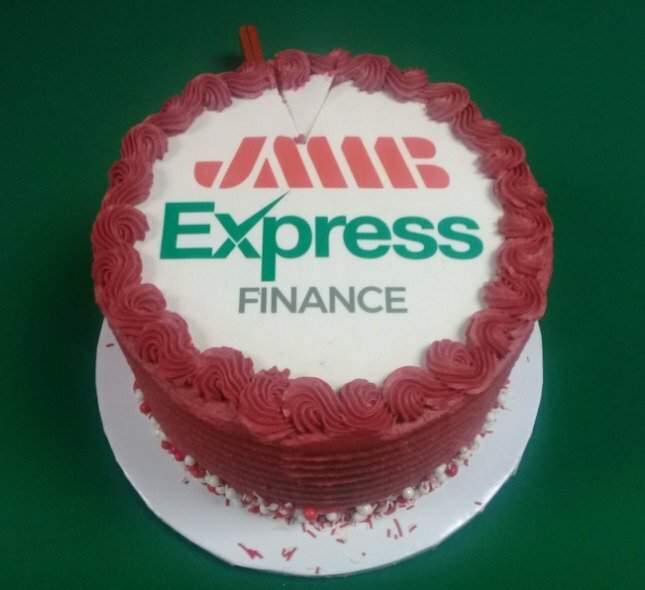 A A cake with the JMMB Express Finance's logo. Reply to "JMMB Group launches JMMB Express Finance Ltd "